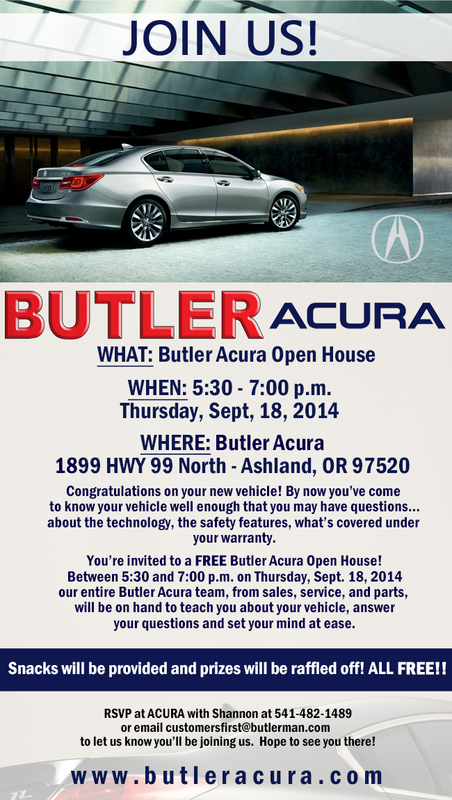 September is a busy month at Butler Ford/Acura! We have two events coming up, both of which allow us time to visit with our customers outside of the normal sales atmosphere. 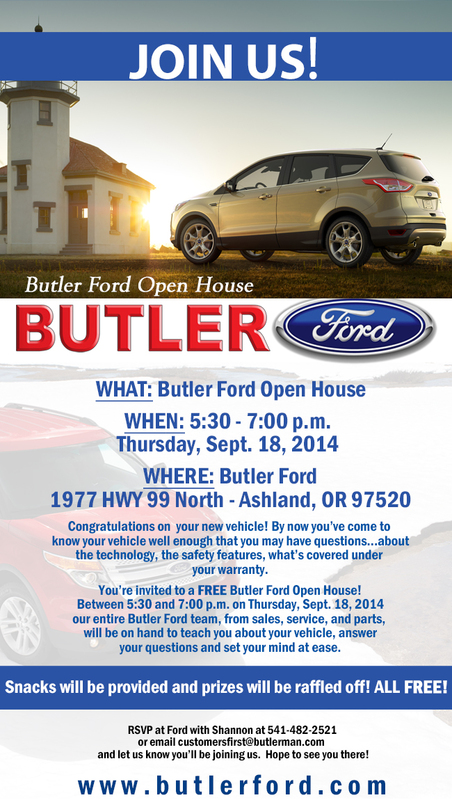 First, on Thursday, September 18th we’re having another Open House. You’ll be treated to food and tours of the shop (you know you’ve always wanted see where your car or truck gets worked on! ), and have the opportunity to ask questions of our entire staff. Need help pairing your phone with your vehicle, or learning how to use your spare kit? Our Open House events provide the opportunity for both, and a whole lot more. All you have to do is RSVP by the end of the day Monday, September 15, and then show up at 5:30 on the day of the event! 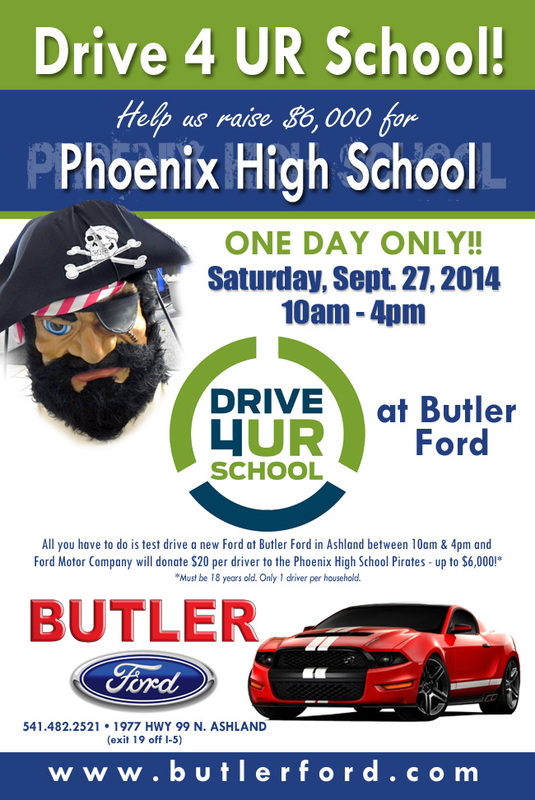 Second, we’re having another Drive 4 UR School to benefit Phoenix High School! Never been to a Drive 4 UR School event? It’s fun! Test drive any one of a certain selection of Fords between 10:00 and 4:00 on Saturday, September 27th, and Ford Motor Corporation will donate $20 bucks to the high school! Funds go to support sports, clubs, and other extra-curricular activities. There’s also food and clothing for sale, and we wouldn’t be surprised if the band showed up to provide us with some rockin’ background tunes! Come support your favorite student; It’s easy and FUN!